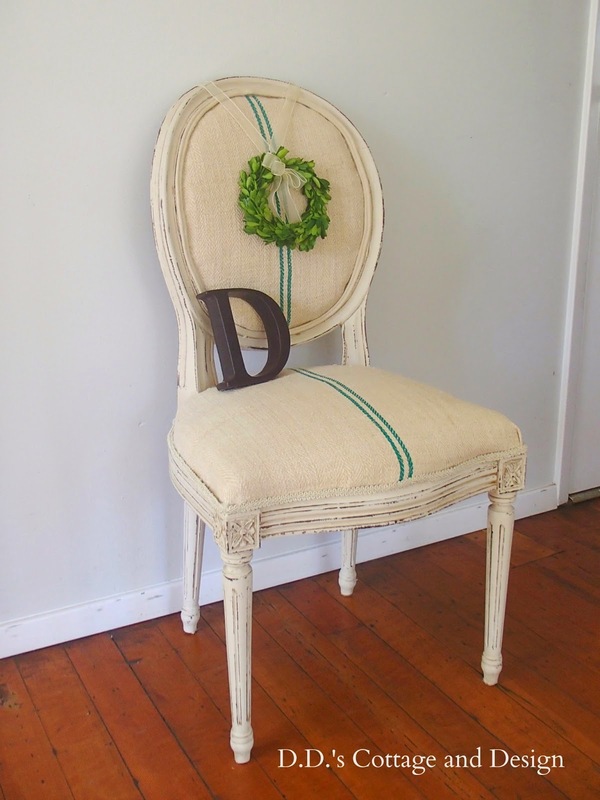 I love the green stripe grain sack fabric on this chair makeover from Darrielle of D.D. 's Cottage and Design! 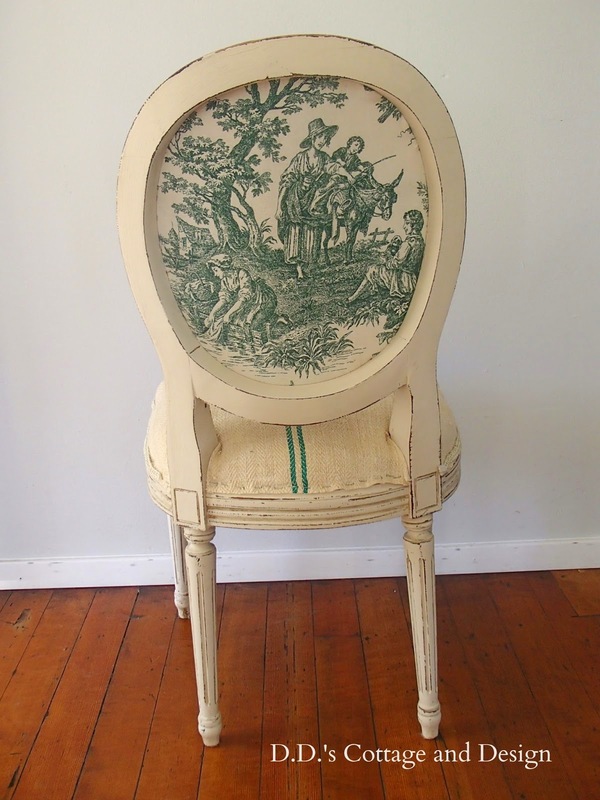 And the toile fabric on the back is a nice surprise! 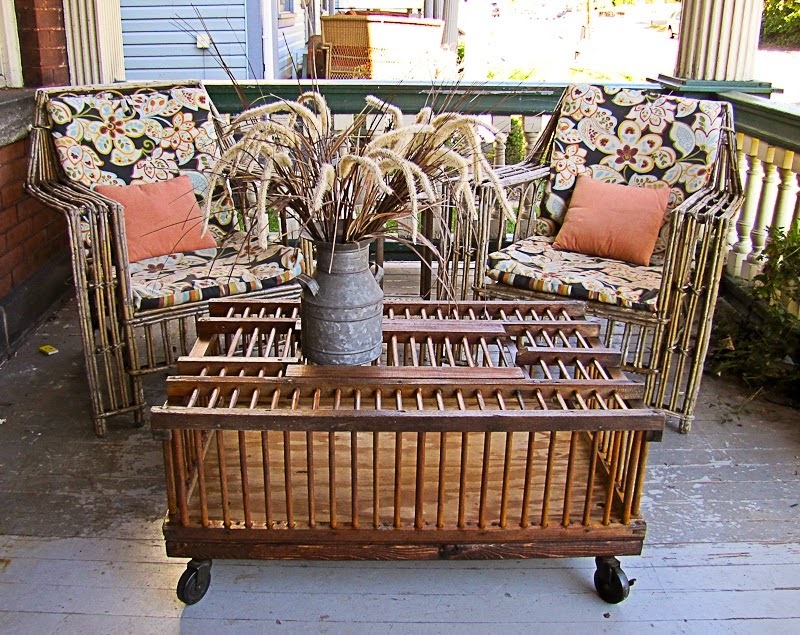 How cool is this chicken coop coffee table from Reposhture Studio! 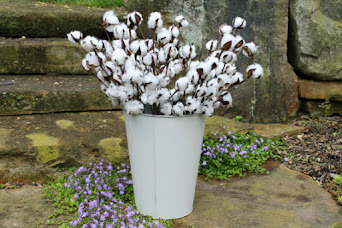 And even though you might not have a chicken coop in your stash, Kim's tutorial for adding casters just might inspire you to create a unique coffee table of your own! Red and white dressers were very popular this week! This one comes from Suzanne at The Painted Drawer. Mary Beth's Place shared this charmer! 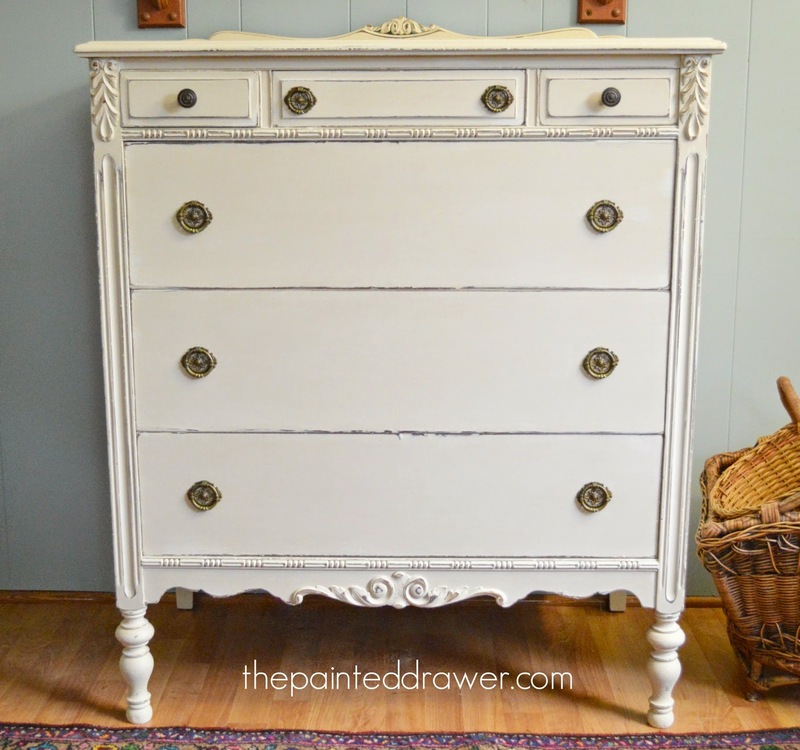 And this antique dresser comes from Jenni at Roots and Wings Furniture Blog! Titia from Crafty in Canada went with a beautiful shade of royal red! 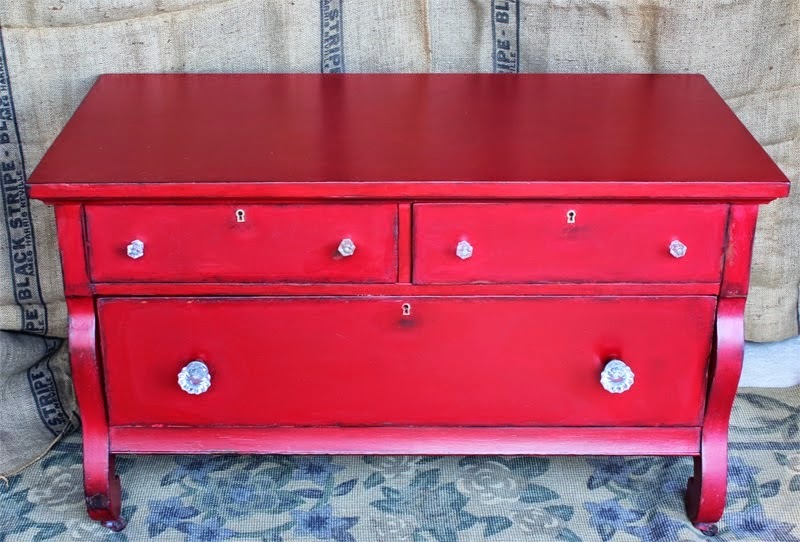 And red was also the color of choice for this sweet lowboy from Daena at Bad Rabbit Vintage! 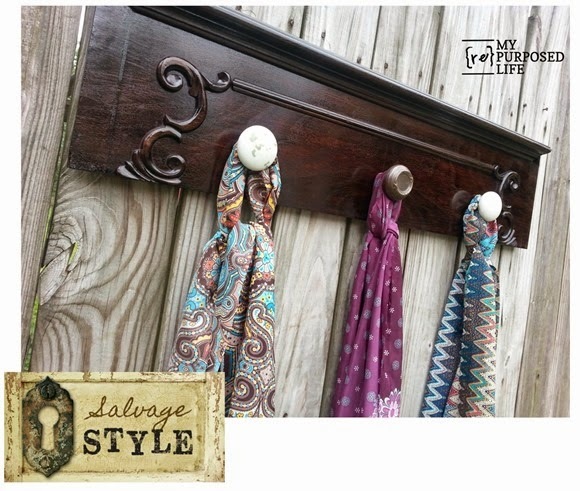 Gail from My Repurposed Life combined an antique drawer front with some cool old door knobs to create this awesome coat rack! I just love the happy little bird fabric on this bench from Celilia of My Thrift Store Addiction! 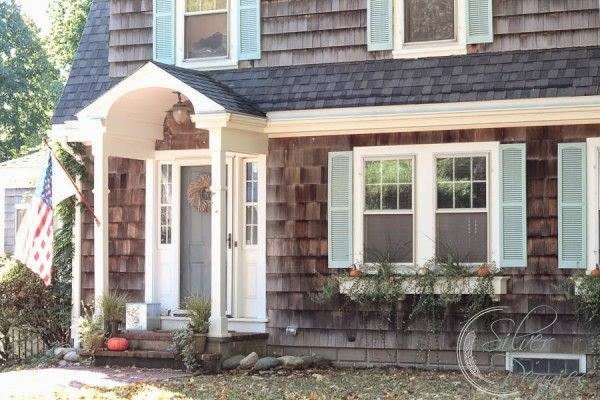 This 1927 Dutch Colonial in a New England seaside community is my idea of a dream house - vintage, quaint and charming! So I was very excited when Danielle from Finding Silver Pennies shared her fall home tour with us! 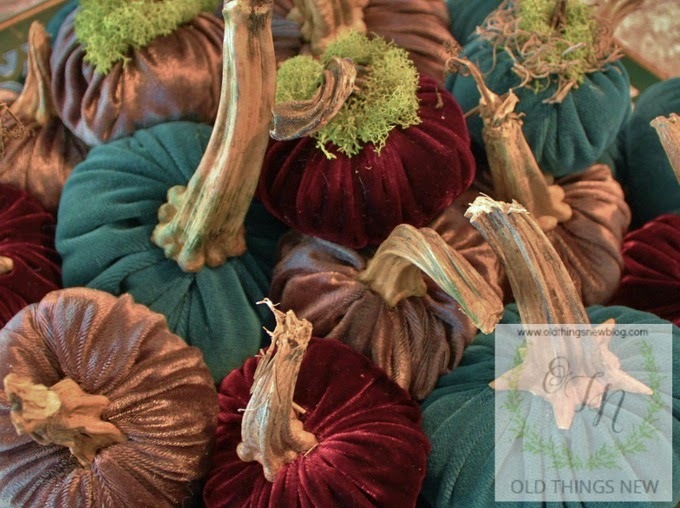 And Patti from Old Things New has all the details on how you can whip up a batch of gorgeous velvet pumpkins! fab features! i just ordered some red paint- can't wait to paint the town red! Wow! I LOVE all the dresser features this week! So many great ideas. Thanks so much for hosting, Sharon! Great Party-love all the red-Thanks for the feature of my chair! 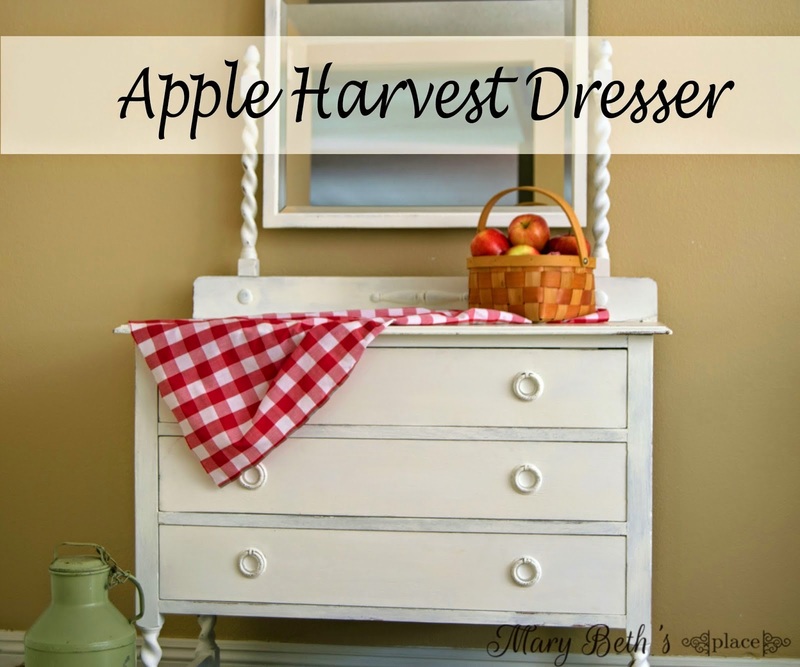 Beautiful makeovers on all the dressers! Must go to check out that charming house tour! 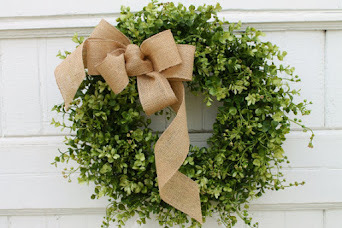 Thanks for hosting and have a lovely Tuesday! Look at all that red! Such a daring thing to do...but, I've actually thought about painting a chest red. Maybe I'll need past the thinking stage. LOL! Love all of the features! Thank you for hosting the party, Sharon. I just fell in love with the green and white chair you featured today! Thank you for hosting your inspirational party, Sharon. Have a great week! Sharon, thank you so much for the feature!! I look forward to this party every week, thanks for hosting! I just commented on the wrong post - oops! Thanks for the feature and for hosting such a great party! Love them all! Hi Sharon! 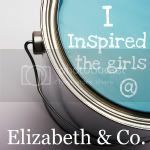 I just linked up, so glad to be here today with all these fabulous features. Thanks for making this party happen! 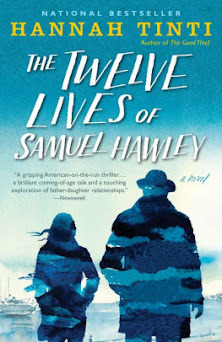 Another week of lovely features! Thanks for hosting such a great party, Sharon! I love all of those dressers! Thank you so much for featuring the coop! Have a great week. I just love love the furniture makeovers! They are so inspiring and amazing. Thanks for hosting each week, Sharon. It is always a delight to visit your blog. I'm sorry I'm so late to leave a comment. I saw my velvet pumpkins featured while on a little vacation last week and our hotel had such slow Internet access that I couldn't make it work. So a belated THANK YOU dear Sharon! You are the best! A little black painting frenzy! Easy Canvas Prints Giveaway Winner!